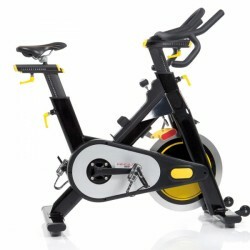 The Exum XTR shows how to optimise an already good upright bike. The basis is the "Exum III", which was awarded as test winner by the Stiftung Warentest. Most modern and user-friendly copmuter technology including hot keys for your training targets guarantee very good training successes with the Exum XTR. Finnlo offers high-quality ergometers for home use. Finnlo ergometers convince by their technological innovations. The special durability of Finnlo ergometers contributes additionally to the protection of environment and ressources. 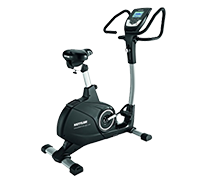 Of course, Finnlo ergometers offer an efficient cardio training as well, which makes exercising on Finnlo ergometers a real pleasure. 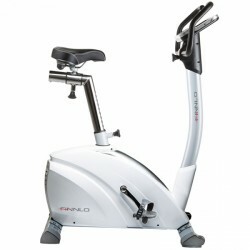 Finnlo ergometers offer speed-independent ergometer workouts. 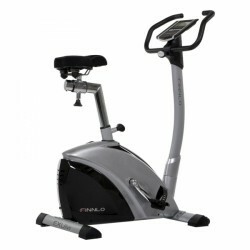 The resistance can be comfortably set with the intuitively usable console of Finnlo elliptical cross trainers.